Rise to your feet at the touch of a button on a riser recliner chair that's easy to use. 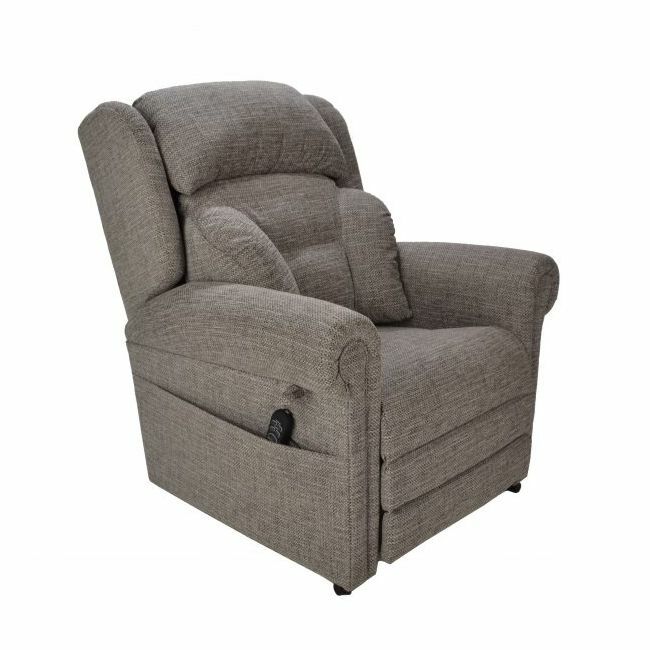 This riser recliner chair is made in the UK and comes with a 5 year warranty covering the motor, mechanism and electrics. Upholstered in a classic patterned grey or mocha fabric and fitted with an easy to use rise and recline mechanism. The Cullingworth has been designed with relaxation and ease of use as a priority. With its traditional shape and neutral colour scheme it’s perfect for any home setting. This dual motor version allows the backrest and footrest to be operated independently of one another.